Schedule of Events is now available! All Scottish Rite Masons of the Armed Forces Scottish Rite Bodies are requested to attend the Friday October 26th through Sunday October 28th Orient-Wide Reunion. The reunion will take place in the Clarion Hotel, 12601 West 95th Street, Lenexa, Kansas. Invite Master Masons to petition no later than noon, Thursday, September 13th (before our September stated meeting), so that they can be registered and materials obtained in time for the Fall 2018 Class. Degrees will be exemplified and communicated by Valleys from across Kansas. We are fortunate that the event will be held within short driving distance. 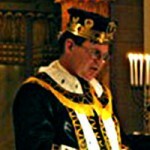 Fort Leavenworth brothers will be exemplifying the climatic 32nd Degree – Master of the Royal Secret. Master Masons interested in attaining the higher level Masonic Education afforded to 32º Scottish Rite Masons in the Fall 2018 Orient-Wide Reunion being held October 26-28, 2018, please submit your petition to the Secretary no later than noon September 13, 2018. See our Petition Page.